start learning something new here: Mahatma Gandhi is not the 'Father of the Nation'. Read more here. Mahatma Gandhi is not the 'Father of the Nation'. Read more here. 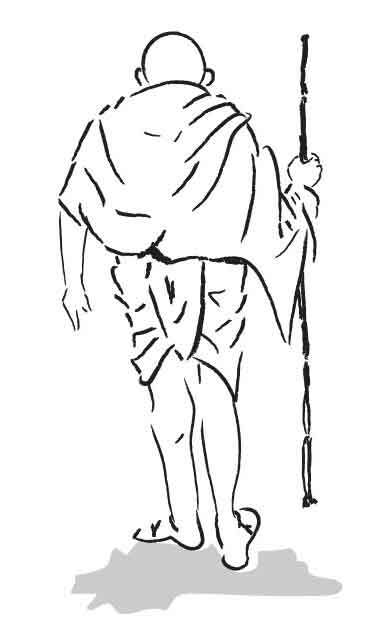 A Lucknow-based student Aishwarya Parashar filed a number of RTI petitions seeking details about Gandhi and the reasons for referring him as Father of the Nation. In response, she was told that no such title has been accorded to Gandhi. Driven by a patriot zeal, Class VI student of the City Montessori School, Rajajipuram branch, Aishwarya wrote to the then President Pratibha Patil and Prime Minister Manmohan Singh to issue a notification declaring Mahatma Gandhi as 'Father of the Nation'. Aishwarya had filed an RTI petition seeking to know the action taken on her plea to the President and the Prime Minister. In an RTI response to Lucknow-based student Aishwarya Parashar, the home ministry has told her that no action was taken on her plea to the President to declare Mahatma Gandhi as 'Father of the Nation' because Article 18 (1) from Part III of the Constitution does not permit any titles except education and military ones like Dr., Major etc. 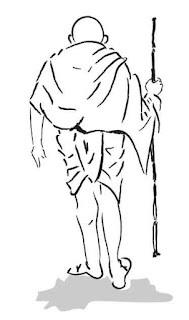 History, however, holds that the title of Father of the Nation was given to the Mahatma by Netaji Subhas Chandra Bose, who in his address on Singapore Radio on July 6, 1944, has addressed Mahatma Gandhi as Father of the Nation. Thereafter on April 28, 1947, Gandhi was referred with the same title by Sarojini Naidu at a conference.